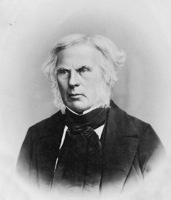 FINLAYSON, RODERICK, HBC officer, farmer, businessman, and politician; b. 16 March 1818 in Loch Alsh (Kyle of Lochalsh), Scotland, son of Alexander Finlayson, sheep and stock farmer, and Mary Morrison; m. 14 Dec. 1849 in Fort Victoria (Victoria, B.C.) Sarah Work, daughter of John Work* and Josette Legacé, and they had seven daughters and four sons; d. 20 Jan. 1892 in Victoria. One of a family that had fallen on hard times, Roderick Finlayson was educated at a parochial school in his native Ross-shire, and in July 1837 emigrated to New York City. Through the influence of a relative there, he received an appointment as apprentice clerk with the Hudson’s Bay Company at its head office in Lachine, Lower Canada. (Two of his uncles, Nicol* and Duncan* Finlayson, were already employed by the company.) Roderick was soon transferred to Fort Coulonge on the Ottawa River where, during the winter of 1837–38, he was initiated into the company’s mode of trade with natives and lumbermen. The following summer he was appointed to Fort William (Thunder Bay, Ont.) and in 1839 he proceeded to the Columbia district with a brigade under the command of John McLoughlin*. Their orders were to take possession of part of the Russian territory that had been leased by the HBC for trade purposes from the Russian American Company [see Sir George Simpson*]. The party took over the Russian post at the mouth of the Stikine River in 1840. After leaving a few men to carry on the trade, Finlayson and the others, led by Chief Factor James Douglas*, proceeded to the Russian American Company’s primary station at Sitka (Alaska), where trade matters were settled amicably between the two companies. Douglas’s party then ascended the Taku River to a point 50 miles upstream, where they built Fort Taku. Finlayson was appointed second in command. Over the ensuing two winters he was transferred first to Fort Stikine (Alaska) and then to Fort Simpson (Port Simpson, B.C.). The HBC had now decided, however, that the steamer Beaver could handle the majority of trade in the district, and that resources would be better concentrated on the southern end of Vancouver Island. On 1 June 1843 Finlayson became second in command at Victoria Harbour and began to work on the construction of Fort Victoria. The following year, after the death of Charles Ross, the officer in charge, Finlayson was promoted to command the post and in this role he earned Douglas’s praise: “He is not a man of display, but there is a degree of energy, perseverance, method and sound judgement in all his arrangements. . . . He is besides a young man of great probity and high moral worth.” Finlayson had to face the problem of the company’s uneasy relations with the Songhees Indians and, after several confrontations, he persuaded them to move across the harbour to the site of the future Indian reserve. Under his direction one of the several farms at Fort Victoria was established. Dairy and agricultural produce was shipped north to the Russian American Company, in accordance with the terms of the agreement of 1839, and was sold to local settlers and visiting ships. Finlayson was also involved in the formation of the ill-fated Vancouver’s Island Steam Saw Mill Company at Esquimalt. After the 49th parallel was established in 1846 as the boundary between British and American territory [see John Gordon*], the company gradually abandoned its southern posts, and Fort Victoria replaced Fort Vancouver (Vancouver, Wash.) on the Columbia River as its principal depot. As a result, in June 1849 Douglas left Fort Vancouver to relieve Finlayson of his duties as officer in command. Finlayson was subsequently appointed chief accountant of Fort Victoria, a position he held until 1862. In January 1849 Vancouver Island had been formally leased to the HBC for the purpose of colonization. In order to fulfil the conditions of the grant, company officers, including Finlayson, were given inducements to purchase land and establish farms. In 1851 he purchased 100 acres of land north of Rock Bay, the first of the extensive real estate dealings from which he would become wealthy. His rising status within the community was reflected also in his promotion to chief trader in 1850 and his appointment two years later to the Council of Vancouver Island, on which he served as treasurer. He remained a member until 1863. When Douglas severed his connection with the HBC in 1859, Finlayson was made chief factor. Finlayson visited Scotland on furlough in 1861; upon his return the next year he was granted the superintendency of the company’s affairs in the interior of British Columbia. 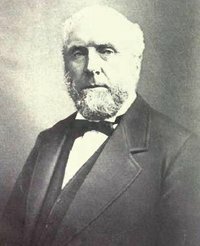 He retired from the company in 1872 to devote himself to farming and to managing his real estate and business interests: according to an obituary in the Vancouver Daily World, he became “a prominent figure amongst the business men in the Commercial quarter of the Capital.” In 1878 he was elected mayor of Victoria, and it was during his one year in office that construction of the city hall was undertaken. Following his tenure as mayor he left public life, remaining in Victoria until his death in 1892. The PABC’s Visual Records Division holds six photographs of Roderick Finlayson, and also an oil portrait by the English painter – Haddon, commissioned by Finlayson’s daughter Anne Jane and her husband, J. C. Keith. The painting was presented to the British Columbia government in 1914 on behalf of the family to be hung in the lobby of the Legislative Hall. Finlayson published a small volume of reminiscences shortly before his death under the title Biography of Roderick Finlayson ([Victoria?, 1891? ]); it subsequently reappeared in the Wash. Historian (Seattle), 2 (1900): 29–33, 70–84. His unpublished “History of Vancouver Island and northwest coast” is in PABC, A/B/30/F49.1. ACC, Diocese of British Columbia Arch. (Victoria), Christ Church Cathedral (Victoria), reg. of births, marriages, and burials (mfm. at PABC). PABC, A/C/40/F49.2; E/C/F49.9; M/F49. PAM, HBCA, A.1/145: f.91; B.134/c/53: ff.110–12d; B.223/b/27–28; B.226/a/1: f.159; B.239/k/2–3; D.5/17: f.93d. HBRS, 6 (Rich). Journals of the colonial legislatures of the colonies of Vancouver Island and British Columbia, 1851–1871, ed. J. E. Hendrickson (5v., Victoria, 1980). Daily Colonist (Victoria), 22, 24 Jan. 1892, 7 May 1893. Vancouver Daily World, 26 Jan. 1892. Derek Pethick, Victoria: the fort (Vancouver, 1968). E. E. Rich, The history of the Hudson’s Bay Company, 1670–1870 (3v., Toronto, 1960), 3. E. O. S. Scholefield and F. W. Howay, British Columbia from the earliest times to the present (4v., Vancouver, 1914), 4: 190–94. Daily Colonist, 19 July 1914, 13 March 1949. Eleanor Stardom, “FINLAYSON, RODERICK,” in Dictionary of Canadian Biography, vol. 12, University of Toronto/Université Laval, 2003–, accessed April 22, 2019, http://www.biographi.ca/en/bio/finlayson_roderick_12E.html.